A Zenit carrier rocket with Angola's first satellite AngoSat-1 was launched from the Baikonur spaceport in Kazakhstan on December 26. Russia's Korolev Rocket and Space Corporation (RSC) Energia, which developed the Angolan satellite Angosat, has confirmed that the connection had been lost with it. "At the given time the spacecraft Angosat was put into the calculated orbit and made contact, but after a while the telemetry information ceased to arrive," the company said in a statement on its website. Earlier in the day, a source told Sputnik that contact had been lost with the AngoSat-1 launched on Tuesday from the Baikonur spaceport. "The 'Fregat' upper-stage rocket regularly got in touch with the Angolan satellite in a normal mode after the first round along the Earth's orbit, all systems worked properly, but later contact was lost and the telemetry ceased to arrive," the source said. According to the source, the AngoSat-1 is likely to be recognized as inoperable. "According to preliminary information of North American Aerospace Defense Command (NORAD), the space apparatus was placed into the calculated orbit and remains on it," a space industry source told Sputnik. A Zenit carrier rocket with Angola's satellite was launched from the Baikonur cosmodrome in Kazakhstan after being postponed several times. Initially, it was planned that the satellite would be sent into orbit this summer, then the launch date was set for September. It was subsequently rescheduled for October, November and then December. The rocket placed the satellite into the planned orbit and the satellite separated from the transfer orbit stage, according to the representative of Russia's Roscosmos State Corporation. 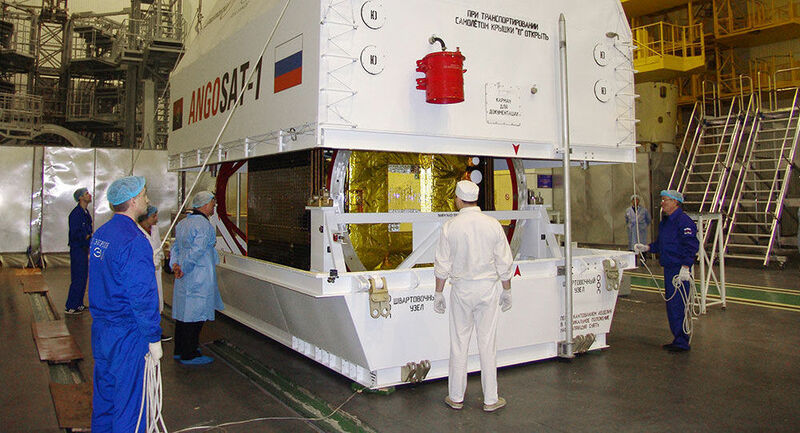 The AngoSat-1 project is a communications satellite with a geostationary orbit which was built by Russia's RSC Energia company. The project has been underway since 2012.